When you want a puppy, you want it now. Awesome! what an expression! 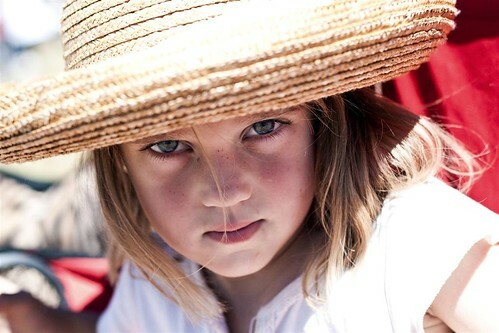 totally belies the old-fashioned doll charm of the straw hat and white summer dress. who is this little one? It’s my Bethany, Chad’s middle daughter…so distraught about this puppy that day. I have literally never seen that look on her face. Thankfully her joy of bringing one home is just as intense!